A MOBILE phone mast looked set to be given the go ahead by the planning committee tonight (Wednesday). Planning chiefs are due to decide whether the planning application to install a 15-metre mast and equipment cabinets on the grass verge outside The Lodge on Yardley Wood Road in Solihull should be approved. Campaigners have raised concerns over health to children in the area going to school or nursery, the mast being out of scale with the area and increase in noise levels. 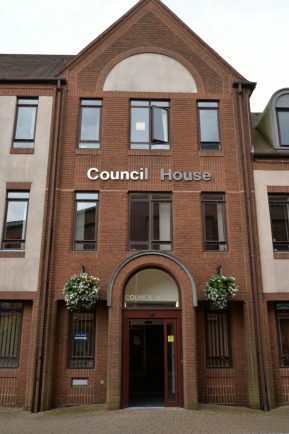 Documents released ahead of the meeting revealed the recommendation to Councillors from Officers was for the application to be given approval. The documents also outlined the proposed mast is required to provide suitable coverage for those on Vodaphone and O2 mobile phone networks in the area. But it seems two petitions with more than 700 signatures on it and 46 letters which have been handed to the council ahead of the meeting in an effort to demonstrate the level of opposition against the application won’t prevent the plans from going ahead. See next week’s Observer for the outcome and reaction to the decision.